Never stop exploring. Everyone wants to discover something new and unseen. But what happens if you experience something you have already seen in a completely new way? What does it mean for you to ‘rediscover’ familiar places? Once chosen lenses are placed in the basket, simply enter the code DISCOVER to receive instant savings from retail price. The ZEISS Discover Weeks promotion will not work when in conjunction with any other discounts. Offer valid from 1st to 30th of April 2019. Receive up to £315 instant savings on selected ZEISS lenses when purchasing from the ZEISS Online Store with the voucher code DISCOVER. 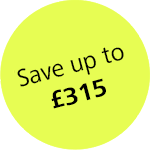 Alternatively, you will receive up to £315 instant savings when buying from authorized ZEISS dealers. Details can be found on our promotions page. Professional full-frame AF lenses for mirrorless system cameras from Sony3. AF lenses for Sony E-mount and Fujifilm4 X-mount APS-C sensor cameras. * This offer is only valid for ZEISS lenses of the types Milvus, Batis, Loxia, Classic and Touit. Purchases are limited to one piece per lens type and per customer. The offer is valid only through current authorised and participating ZEISS dealers and in our ZEISS Online Store. Savings refer to the manufacturer’s suggested retail price. ZEISS and participating dealers reserve the right to cancel the programme at any time and when there is no longer sufficient stock available to support the program. Cannot be combined with other promotions. Promotion period: 1st to 30th April 2019. Detailed terms for participation can be found on our promotions page.